One of the main objectives of Nuclio is that the entrepreneurial team is 100% focused on developing the startup. 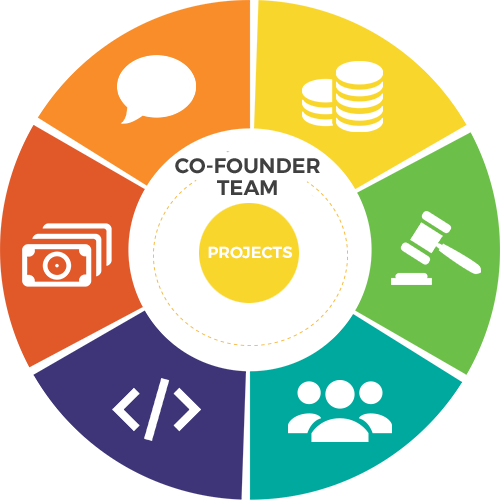 Therefore, the Venture Builder offers complete central services that will offer the teams everything they need to only have to worry in developing the idea. Constant support from Nuclio through central services (IT, Legal, Communication & PR, HR and Administration). Nuclio is part of one of the best entrepreneur ecosystems in Spain and we work daily in the pulse of entrepreneurship in Barcelona: The Palau de Mar. Access to a large network, key contacts in different areas that will facilitate the implementation of each project. Building Trust to external agents endorsing projects with our name. Relations with key players in the ecosystem, both entrepreneurs and business angels, investors and VCs. In Nuclio we know one thing: the entrepreneur should focus on the project without worrying about anything else. Our team has extensive experience in different sectors that offer a range of central services to entrepreneurs and startups, thus avoiding tedious operations and management. Systems: We configure the servers, install all required modules and create the required users. Hosting: Web Hosting Services in scalable Cloud servers and fully automated by Nuclio. Emails: Managing accounts, spam filtering service for mail. eCommerce: Powerful system software to manage products, including payment gateways, records, stock control, with templates and automated integration with transportation agencies and tracking. Contents: Automated CMS systems fully adapted for content management, Google-friendly. ERP: Integrated management systems for all departments of your project: sales, purchasing, logistics, accounting, HR, marketing, reports, project roadmap and its stages. Emailing: Mass mailing software for campaigns, lead generation metrics and synchronization with the ERP. Metrics y KPI´s: Real-time dashboards with metrics, connected with most APIs of the most used systems. Communication & PR: We prepare and communicate the project to the media with the entrepreneurial team reaching maximum impact. We help with the definition of the communication strategy and content the startups need. We implement the corporate website and social networks for each project. HR: We handle the recruitment and payroll management during the first phase. We seek, filter, identify and validate the best talent for each project. We assist in defining the plan of stock options and phantom shares. Legal: We manage all of the legal aspects in the first phase of the project: company creation, trademark registration and several efforts to begin work. We take care of the shareholder’s agreement. Administration: We take care of accounting and financial reports (Balance sheets and P&L); periodic taxes; structuring and executing commercial operations (capital increases and sale of shares, shareholders register…) and managing banking services (Payments and collections).